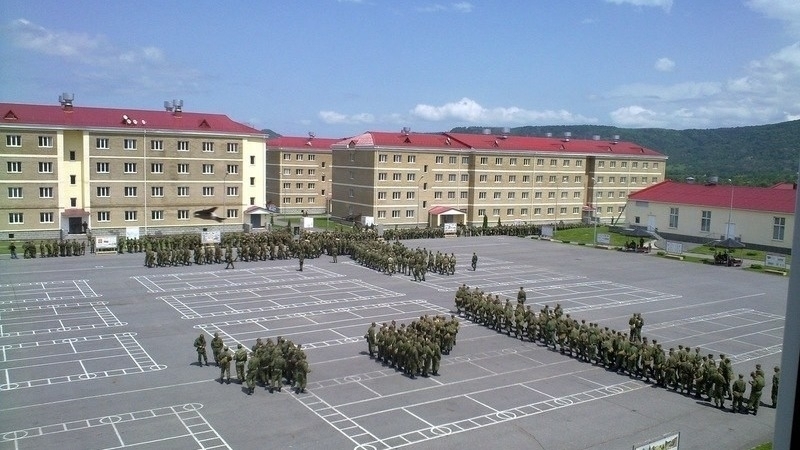 The Russian institution "The Second Center of the customer-developer of the troops of the National Guard of the Russian Federation" opened a competition for the construction of a military unit in Sevastopol. The cost of the project is over 4 billion rubles. Money is to be provided by Russia. Military unit is expected to be built in 4 years. The project is to be implemented in stages: 447.79 million rubles allocated for 2018, for 2019 - 253.34 million, 2020 - 700 million, 2021 - 2.64 billion. The complex of buildings for the military will be located in the area of ​​2nd Bastionnaya Street. And next to this site there is a school. Earlier, Ukrainian Foreign Minister Pavlo Klimkin told the UN that Russia is militarizing the occupied Crimea to deploy nuclear weapons on the peninsula. Permanent Representative of Ukraine to the UN, Volodymyr Yelchenko, said that Russia continues to prepare military infrastructure in the annexed Crimea for the deployment of nuclear weapons. Previously, the leader of the Crimean Tatar people, Presidential Commissioner of Ukraine for the Affairs of the Crimean Tatar People Mustafa Dzhemilev suggested that PACE should establish a commission to investigate the possible deployment of nuclear weapons by Russia in Crimea. Dzhemilev called for additional sanctions against Russia, since the deployment of nuclear weapons is a danger not only for Europe, but for the whole world.